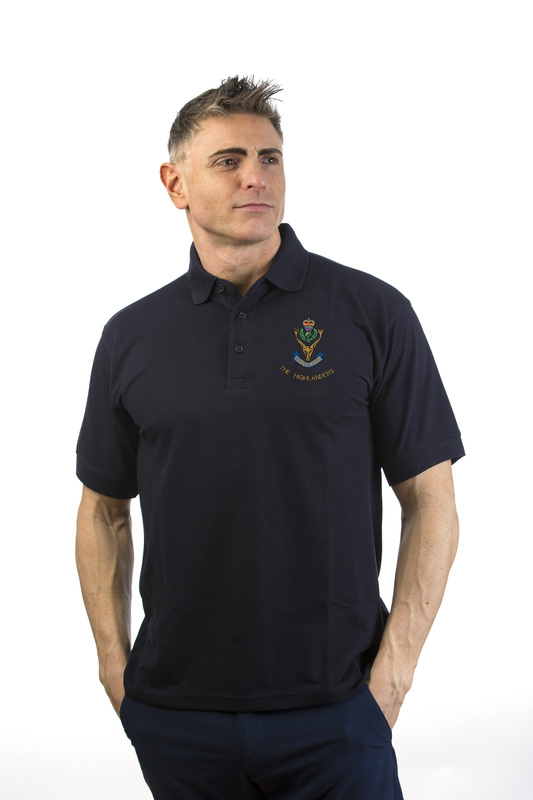 Navy blue Seaforth Highlanders Polo Shirt. Size XXL also available. Please call 0131 310 8701 for details. 100% silk tie in The Seaforth Highlanders Regimental colours. 100% silk tie in The Cameron Highlanders Regimental Colours. Navy blue Queens Own Cameron Highlanders Sweatshirt. Navy blue Queens Own Highlanders (Seaforth and Camerons) Sweatshirt. Navy blue Seaforth Highlanders Sweatshirt. 50% Cotton , 50% Polyester. Size XXL also available. Please contact 0131 310 8701 for details. Queen's Own Highlanders Regimental silk tie. 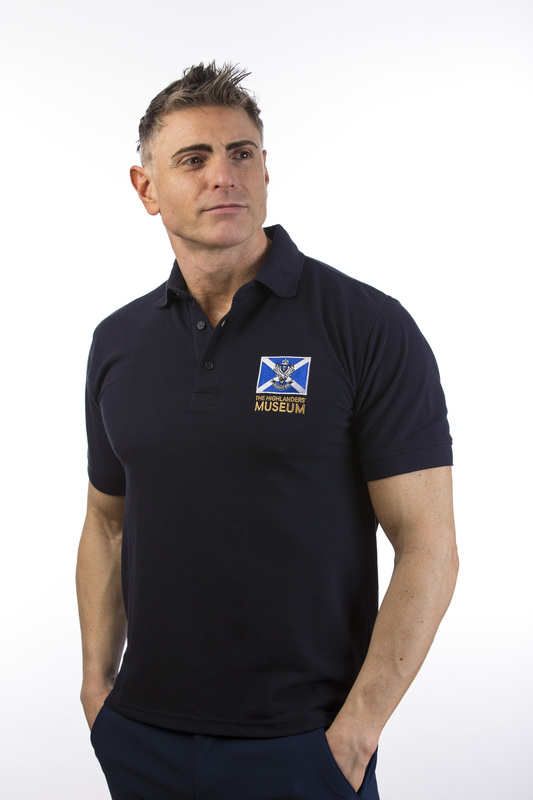 Navy blue V-neck sweater with QOHldrs crest on front and small Saltire with QOHldrs crest on left sleeve. Made from Spirol yarn. This is a unique high technology yarn spinning process blending 100% Merino lambswool with Spirol. The result is a multi component yarn, which when knitted, produces a unique fabric. It helps your garment to retain its shape and keep it looking good. Queens Own Highlanders tweed, supplied by Knockando Woollen Mill. £45.00 per metre (incl. vat). Minimum order is 3 meters. The weight of the tweed is 680g per metre. It is 150 cm wide.